Andun undertakes all manner of temporary works designs. This includes providing excavation support designs to prop and shore excavations of all scales. 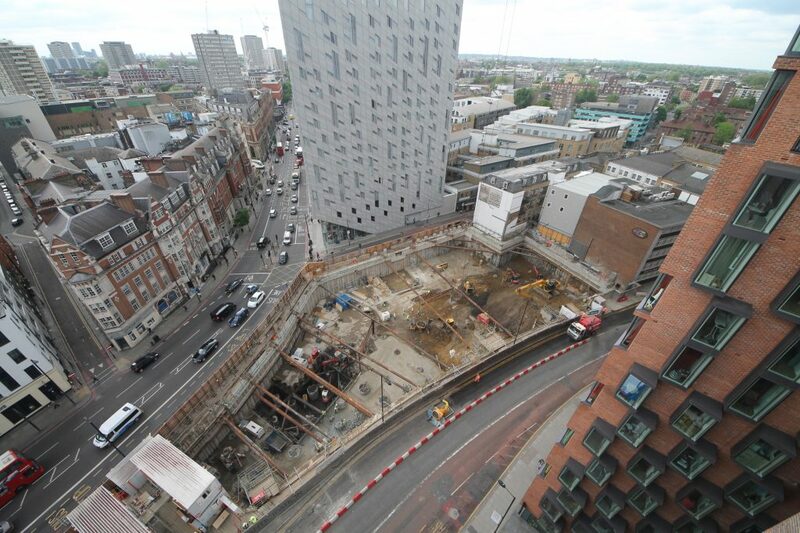 From a local excavation adjacent to live rail lines to a large scale basement excavation in central London. The design of excavation support systems are dependent on numerous different variables.This can include: temporary works design requirements of propping and shoring systems are dependent on several on-site factors such as soil structure, depth of cut and ground water, weather conditions and adjacent construction. Contractors can utilise complementary design services provided by proprietary excavation support suppliers (MGF, Groundforce, Mabey, RMD, etc). This can be an appropriate solution for green field sites where the designs are standardised. Complimentary design services will generally only cover the specific items being supplied this means that for more complex excavation support there will be requirements for additional design support. A good example of this approach would be our recent works at Seven kings as part of the Locros scheme. A proprietary excavation support system was chosen by the client, and we were contracted to calculate the surcharge loads applied to the excavation support and ensure that the design received from the proprietary excavation support supplier was compatible with these requirements. 145 City Road is typical of what we can offer to a contractor. This project comprised the demolition of an existing building followed by the excavation of 2 levels of basement. The basement perimeter was constructed of secant piles, some of which had limited depth due to the proximity of Network Rail and London Underground tunnels. This shallow depth led to the necessity for several levels of propping, which we designed for John F. Hunt. Working with Cementation, we developed the excavation sequence and the propping loads at each step. We generated 3D models of the propping, which included heavy walers and a combination of flying shores and raking props on thrust blocks. After the design was Cat iii checked, we developed all the connection details for transmission to the fabricator. 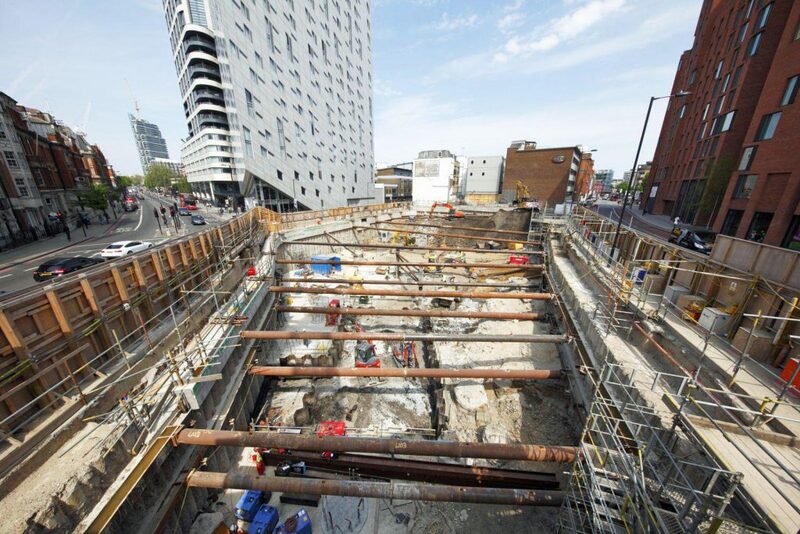 The system was installed successfully, enabling a safe excavation and a prompt handover to the follow on contractor. Have a temporary works project that requires excavation temporary works design support?